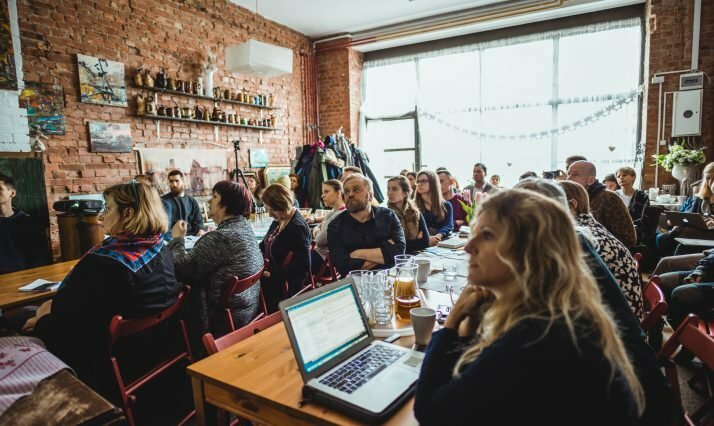 The Interreg Baltic Sea Region project UrbCulturalPlanning was launched on the first week of February 2019 in Riga with the Danish Cultural Institute as the Lead Partner welcoming the project partners. This is the result of five years of initial preparation work done by the involved parties. The Danish Cultural Institute is the lead partner of this project which over the next 2,5 years will develop sustainable urban planning practices in the Baltic Sea Region. We had 3 days of inspirational meetings with the 12 other partners from 8 countries: Denmark, Finland, Germany, Latvia, Lithuania, Norway, Poland and Sweden. Cities today face unprecedented societal challenges. In particular growing needs to tackle social inclusion and sustainable development. At the same time as new needs arise, the resources of the public sector are in decline or stagnating. New skills for citizen involvement are required as a response. Over the past two decades cultural planning has been developed as a proven method for citizen-driven urban social innovation. The key challenge for public authorities in applying cultural planning is that new skills need to go beyond forms of classical (and often more passive) citizen participation. Active co-creation of collaboration between citizens themselves and between citizens and authorities is needed. Therefore we want to use culture and creativity as a tool for finding new solutions for making better living in the neighborhoods in cities or in rural areas. The main objective of the project “Cultural Planning as a method for urban social innovation” is to advance the capacity of public authorities in the Baltic Sea Region as well as local NGOs and associations to collaborate on citizen driven cultural planning. The project will benefit challenged communities across the region, increase their quality of life and sense of identity. It will contribute to social inclusion and sustainable development of the communities. The project will help cities to be better prepared for solving the many challenges public authorities are faced with. 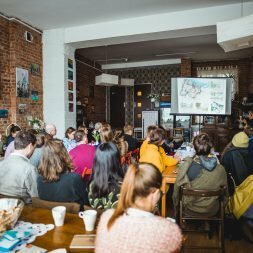 From 25-27th of March The UrbanCulturalPlanning had their first UrbLab in Gdansk. The goal of UrbanLab was to prepare local project leaders to work with the new methods. For the next two years, we intend to investigate how these methods work under different social, cultural, but also technical and urban conditions of the Baltic countries – says Natalia Brylowska from the Institute of Urban Culture. The March seminar was conducted for partner organizations, people involved in urban planning and decisions regarding urban spaces. The tools, methods and scripts created as a result of the program will be made available and popularized. As part of the project, a textbook and mentoring program will be created – its aim will be to support cities and non-governmental organizations in the process of practical implementation of the cultural planning method. Urban toolkit: We will collect methods of cultural planning in a toolkit and provide mentoring on the use of it. We will create a website sharing knowledge online and establish hubs of excellence to continue the project efforts after the end of it. 12 BSR Demonstrator Projects will be created in neighborhoods in cities or in towns in rural areas of up to 20,000 persons in 7 of the partnering countries. The BSR demonstrator projects will address challenges such as shrinking cities, social inclusion, gentrification, use of green or blue resources, lack of community life, stigmatization, conflicts etc. 3 Conferences will bring together cultural planning practitioners with relevant policy makers and stakeholders, regional and city planners, culture departments, funders, NGOs, businesses and media in Kiel, Gdansk and Riga. Other activities include gamification to use the innovative ideas of children and youth. Website and Hubs of Excellence: a website will be created sharing knowledge in several languages online and hubs of experienced specialists will be established and will continue the project efforts after the end of the project life. 10 Urban Labs will be organized to adapt cultural planning methods for wider use in the BSR including topics of cultural mapping, cultural visioning, stimulating local social innovation, creative bureaucracies and other. We are looking forward for the cooperations and the developments in the future.